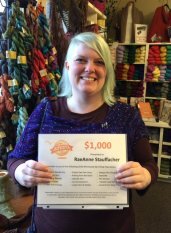 The Hop for a Cause Hoppers donated $55,000.00 before and during the Minnesota Yarn Shop Hop! AND, . that is BEFORE the Food Network MATCH! WOW...and AT shop hoppers donated 11% of that $55,000 which went to OUR LOCAL FOOD SHELF, CROSS! ...a first time hopper who did the event in 2 days with a group of 4 friends...She could hardly contain herself when she got my message. So cute and so grateful. 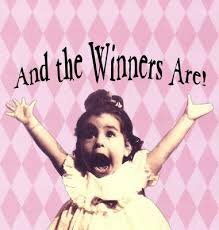 Our AT first prize winner of $150 gift card is Linda K.
Congrats to Christine P. our Second Chance ($50 gift card) winner! 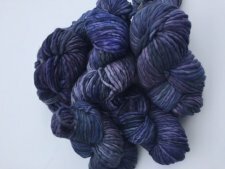 Anil, the Exclusive color Antonio of Malabrigo Yarns dyed for us arrived last night. I could have gone to sleep on it! Just beautiful. Thank you Antonio! Scrumptious! Arroyo is restocked, too! 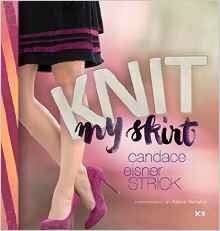 Knit My Skirt has arrived & I love it! ~ We will unveil a new Brioche design in Arroyo at YarnOver on Saturday! 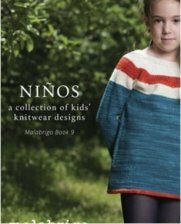 Both Building Blocks (so easy and you learn new stitches each month) & Nambu have a couple of spaces left! Build your knitting skills one square at a time! Building Blocks is a series of 12 fun patterns that will build your knitting skills. 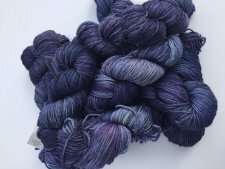 Class meets once per month for 6 months - You will need to knit 2 squares per month! $30 for 4 hours of expert help! Finish a project or start something NEW! 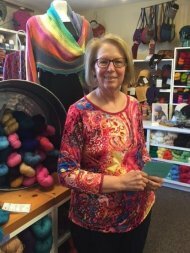 In May we will offer T-Shirt classes, socks, and more! Register on-Line! 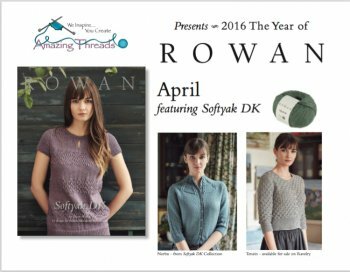 Softyak 15% OFF through April, plus a free pattern!